Awesome, immaculate 1st Flr Condo in the End Unit, of the End Building in a Clean, Well-maintained Association. Hardwood Entry Foyer opens onto both spacious Eat-In Kitchen (w/ Tile Backsplash) w/ Side-by-side refrigerator, built in microwave, dishwasher, disposal & Stove on the Right OR open columned Living room / Dining area w/ built in shelving on the Left. Fully-screened patio looks out onto trees & undeveloped nature. Master BR w/ trayed ceiling and walk-in Closet. Both baths have ceramic tile flooring and brushed nickel hardware. 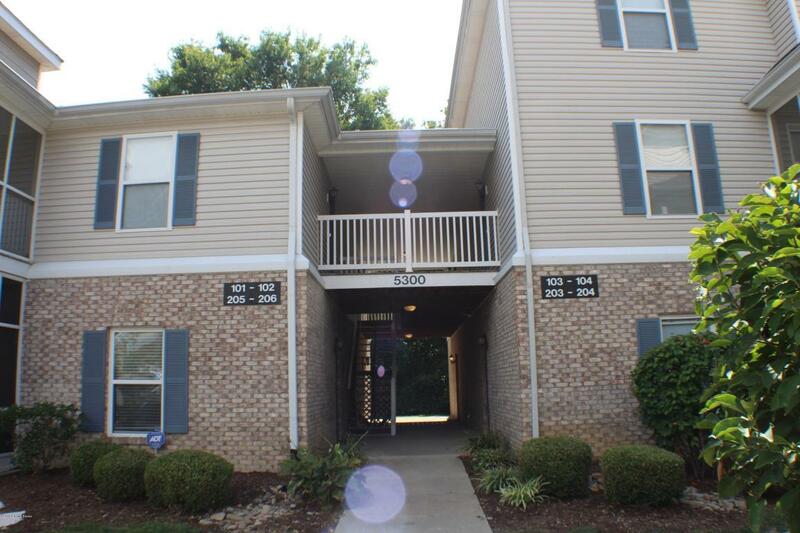 In-Unit Laundry room w/ built in cabinetry off hall betw Living Area & BRs. The unit has security system, sprinkler system and smoke detectors. Assigned parking space right outside the front door & ample guest parking. Reasonable $150/Mo maintenancefee covers water, trash pick up, lawn care, exterior maintenance & building hazard insurance. Won't last. Best to hurry on this one! Listing provided courtesy of Eagan Realty Group. © 2019 Metro Search, Inc. All rights reserved.